When I first got "Into the Blue" in my January Ipsy bag, I was unsure if I was going to use it. The colour seemed a little too out there for my fingernails, so I was hesitant to try it. I saw many people post some photos on instagram, and I thought - why not just give it a try? So that's what I did, and I was so surprised. 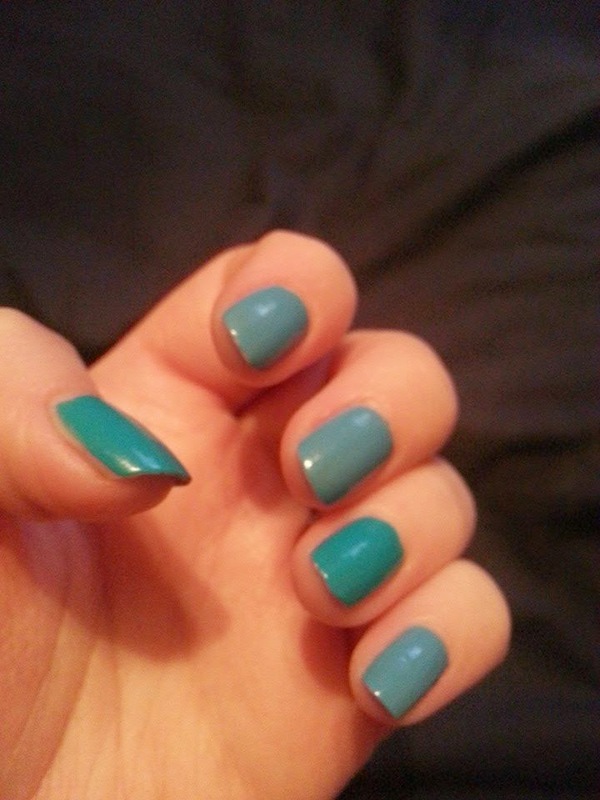 I paired it with another blue shade of polish that I received in a past Beauty Box 5, Nanacoco's Surfers Dream. Both are shades I wouldn't typically wear - but for the sake of trying them, I used both. The Nanacoco (surfers dream) shade was applied to my thumb and my ring finger, and the Probelle (into the blue) shade was placed on my other three fingers (pointer, middle and pinky). As you can tell, the Nanacoco shade has more of a green look to it, and the Probelle has a purple-ish undertone. I only applied one coat of each. After doing laundry, and many many dishes, this was after 3 days of wear. The Nanacoco shade stated to chip, but the Probelle just lasted, it didn't chip at all. After a week of wearing them, the Nanacoco shade was pretty much all chipped off my nails, and the Probelle was still staying strong. It did have a little bit of chipping at the end of my nails, but over all, you wouldn't know that I was wearing the polish for a week at this point. 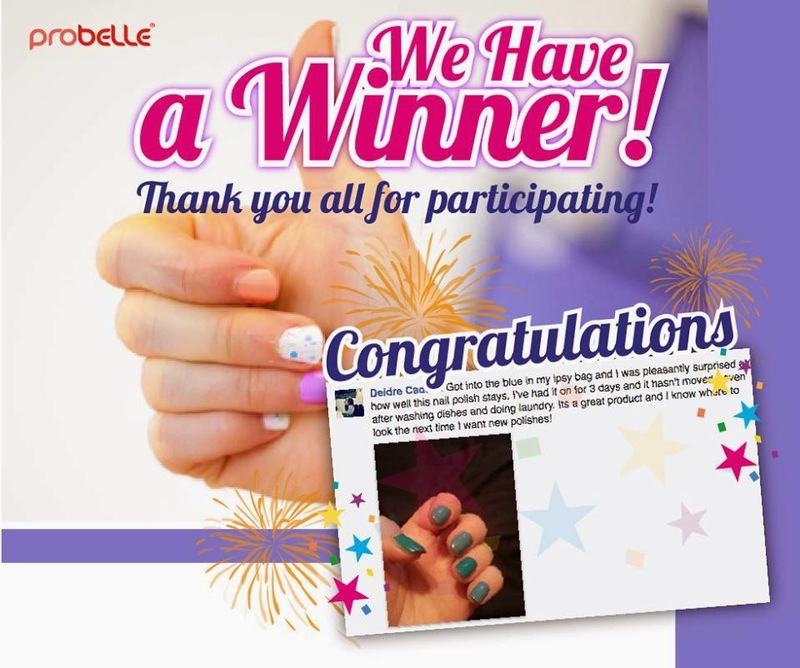 I entered the contest that Probelle was having on their Facebook page, and provided the picture of my nails above. I ended up winning that contest - I was so shocked, and so happy! I won 2 nail polishes and 2 nail treatments of my choice... below is what I picked! I wish I picked a slightly darker pink shade because these two seem to be very similar in colour, but I can't wait to try them anyway! They also sent me a brochure that shows everything they sell, along with a pen and a mini nail file that seems to have 4 different boards on them. So cute! Thank you Probelle! These polishes are awesome!